An iPhone camera is one of the top-quality smartphone cameras you can bring around. But there are times that your iPhone camera lens can’t fully handle the shooting environments. You want to use a wide-angle lens for your iPhone to extend the field of view of your camera’s scope. A wide-angle lens gives you a fresh perspective. Or if you shoot a faraway subject, you want to use a telephoto lens to transform your otherwise pixelated images into clear and crisp shots. This lens gives an extra boost to your camera’s optical zoom. It does this without degrading your image, which happens when you use digital zoom. These are just a few of the reasons you might want to use an iPhone camera lens attachment. In fact, if you want a less expensive way to shoot prints, an iPhone camera lens is the investment you need to make. It’s affordable. It’s easily available online. It’s also easy to install, so the convenience of having such lens instead of an actual DSLR lens is unmatched. However, not all camera lenses are worth your money. In this article, I will tell you 10 of the most promising iPhone camera lenses that you can buy online today. I will also share some of the tips to consider to help you find the appropriate, stylish and most value-for-money iPhone camera lens in the market. This article is especially useful for mobile photography enthusiasts who are first-time users of a camera lens. Those who have tried installing an iPhone lens already will also find a lot of useful tips in this guide. So why not stay with us and read the rest of this guide now? Before I go right deep into the top 10 best iPhone camera lenses, you might want to read first about the different types of iPhone camera lens, and where they are more suitable to use. The main use of a wide-angle camera lens is to get more subjects in your photo. A standard iPhone camera is smaller in scope without the lens. This means a wide-angle iPhone lens would be ideal for shooting landscape scenes in panorama mode. What this lens does is make your subjects look closer to you. When you want photos with large magnification numbers to appear smaller than they are, you need this lens. It’s also suitable to use this lens for a more flattering touch for your portrait photo. Because your facial features get enhanced using this type, your face will look natural. This iPhone lens can help you create dramatic images. You can also make them spherical and more detailed as well as create stylish corners and distortions with this lens. This is fantastic for trendy casual smartphone shooters. If your goal is to create a style, then this is the lens to turn your day around. What this lens does is to magnify subjects. You would have to keep this lens still, though, to magnify objects that might be too small for a regular iPhone camera. If you have still hands and you want to take photos of still insects or a raindrop on a leaf, then knock yourself out with this type of lens. Made from cinema grade glass, this aspheric lens delivers edge-to-edge image quality. If you just want to buy one camera lens for your iPhone, this is the one. Touted as the best wide lens that Moment has ever made, this is rated as the best wide-angle lens in many gadget review websites. It’s hard to disagree with this claim. With the lens’ tested ability to fit the full majestic grandeur of landscapes, you’d never forget to bring this with you in your outdoor trips. The ability of this lens to capture a wider number of people in a shot makes this also an essential item to bring during family reunions. This lens’ spherical design is also made from cinema-quality industry-grade glass, which guarantees only the best image results in every shoot. The wide-angle lens allows you to capture 2x more picture with little distortion and no vignetting. 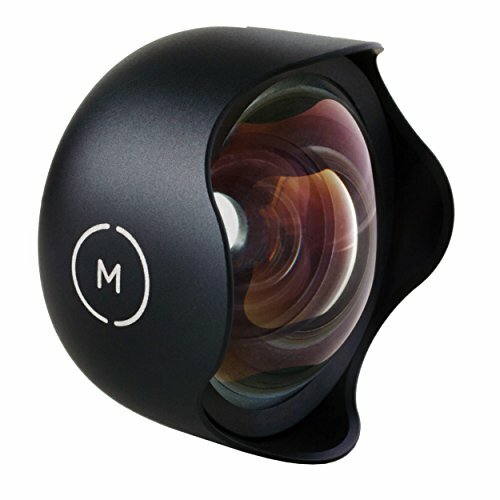 Moment’s New Wide Lens is the one if you want to buy just one lens. This wide-angle lens has already been trusted by plenty mobile photographers. The wide-angle design allows your phone to capture 2x more picture with little distortion and no vignetting (unlike many cheap wide-angle camera lenses on the market). You can use this wide-angle lens during family reunions, trips with your friends or any event that requires you to capture in one image more than is allowed by the iPhone. Only a few iPhone camera lenses out there that can match this one’s great quality. It’s easy to use and install. Priced at around $99.99, you might need a little bit of time to decide whether to invest in this lens if you’re only going to use it once. Needs a Moment phone case to mount to, which is sold separately. The 60mm focal length gets you closer to the subject. Take portrait photos that give you the natural depth of field. The outstanding thing about Moment’s New Tele Lens is that it’s made for both mobile photographers and advanced filmmakers. With its award-winning glass and new metal body that allows for amazing portraits, you can always have your images sharp in the center with a natural drop-off in its edges. With 2x more picture in each capture, you can rely on this lens for all types of scenes. You need to attach the lens to a Moment phone case (sold separately). You should buy this if only for the fact that many tech blogs have rated it the no. 1 best iPhone camera lens. You are able to use this lens when you’re out taking portrait photos that give you the natural depth of field. Or you can use the lens when you’re out capturing real estate photos for your business or for your outdoor travel where you want to capture as much panoramic view as you can. Highly rated by photographers and tech bloggers. Built with aerospace grade metal and the same hand-polished glass used for high-end 4K film lenses. Not cheap, but you pay for the quality. Need to buy a Moment photo case to attach the lens. The only selfie-ready lens system that works with both front and rear cameras. Fisheye, super-wide and macro lenses are packed into one single clip. You might be a lot more interested in buying this lens kit if you knew that it’s one of the world’s most-awarded iPhone lenses. 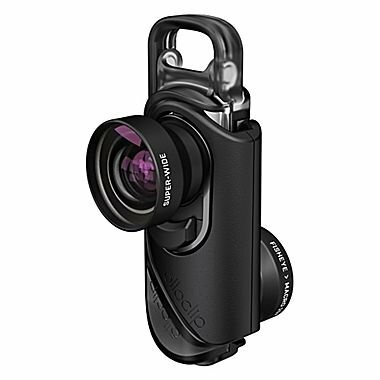 Olloclip really went with it in patenting the beautiful and nifty design of this lens, reaching about 100 patents to make sure that its classy glass quality design is protected. 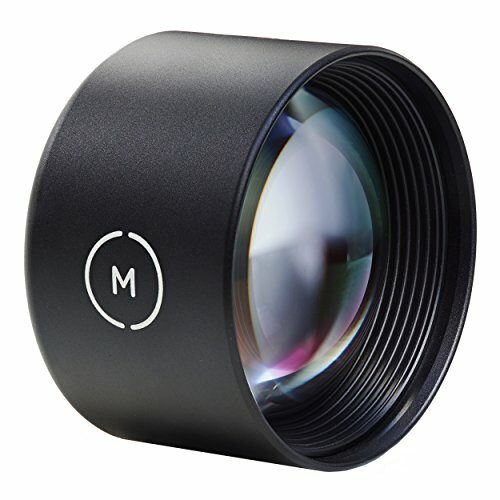 Gadget reviewers have already acknowledged this lens’ superior optical design. This lens set doesn’t also require you to bring additional bulky parts to be able to use it. No need for glue or bracket mount to use this lens. With its 360-degree feature, you can be sure to shoot landscape scenes and even scenes that you can use for your VR box. Group selfies are also a piece of cake when you have FaceTime with this lens. A selfie-ready, 3-in-1 lens system. You should buy this if you want a trusted-by-authorities iPhone camera lens kit that has most of the types of lens you need without the need for additional bulky clips and parts. If it’s quality and multiple-people FaceTime that you want to prioritize, then you should go for this lens kit no questions asked. Fisheye, super-wide and macro 15x lenses are combined into one compact system. Selfie-ready on both front and rear-facing cameras. The images may show some distortion and loss of detail. You also won’t be able to use this lens while you have the case protector for your iPhone 7/8 and 7/8 Plus. 2x optical zoom lens brings you closer to the action, and the 115° field-of-view lens gives you more context to create dramatic landscape and portrait photography. This camera lens set is made exclusively for iPhone 7/8 and iPhone 7/8 Plus. With this lenses’ improved optics made with premium and multi-element glass coating, you can now guarantee a superior image quality in every shot you make. 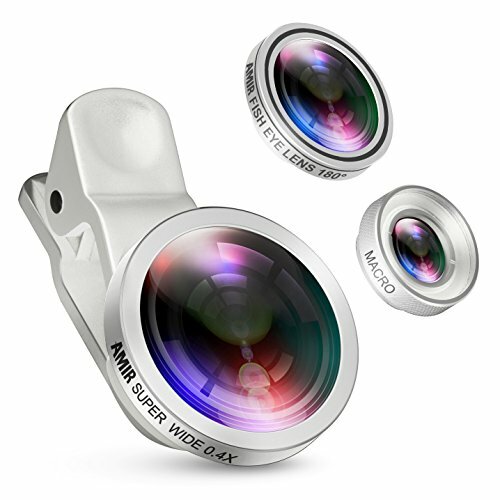 You may also like the easy-to-use patented design of this iPhone camera lens that’s made specially to make its installation very intuitive and hassle-free. You don’t need extra parts. You don’t need to learn how to use it. Because of its selfie-ready option, you can now create stunning images both for front and back camera just in one clip and click. You may want to buy this lens kit if you’re upgrading to a larger sized iPhone (iPhone 7 Plus or 8 Plus), and you still want to use the camera lens for your previous iPhone 7 and 8. You can use this lens kit for all wide-angle and telephoto purposes. What makes this kit extra special is the fact that Olloclip is one of the few trusted brands in the market that have designed outstanding lenses for the iPhone. This set has a hinged base that keeps the lens system secure for optimal performance. The pendant stand that comes with it can also act as a reliable tripod stand. Using the lens will require you to take away the case first before you can use the wide-angle selfie. So if you’re looking to keep your iPhone protected by a case while using these lenses, then you’ll have a problem with this lens. This wide-angle lens captures 2x wider field of view, and is made for for travel, actions sports and outdoor photography. 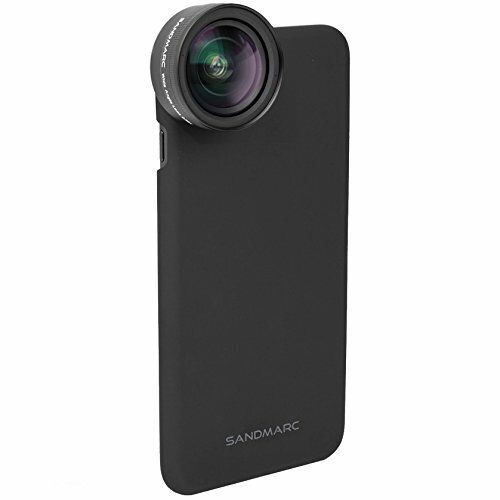 If you want to turn your iPhone X into a DSLR without spending more than a hundred bucks and without carrying heavy parts and bulky mounting equipment, the Sandmarc Wide Lens Edition is definitely for you. Made from premium multi-coated optics, this lens will not only make you look professional in your shots, but will give you years of fun and enjoyment from the 2x wider field of view in the shots you will take. This lens gives you fun and enjoyment from the 2x wider field of view. You should buy this when you want to make your shots look more professional without buying into the hype of getting a new iPhone model that in three months will be outdated. Buy this wide-angle lens when you’re planning to go for a trip overseas or if you want to do sports or outdoor photography. This is also ideal if you want to take professional photos, but you’re still not ready to invest in an expensive lens. I will keep you updated for the pros and cons of this iPhone camera lens. Rated as 5 stars on Amazon, the AMIR lens kit is an affordable choice if you're looking for a multi-purpose lens. 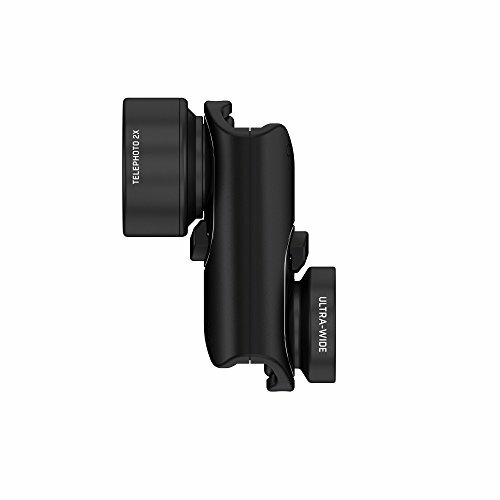 Next time before you travel somewhere, put this iPhone camera lens kit into your backpack. You can use different lenses for food, landscapes, portraits, architecture. What makes this lens set stand out is the price. It costs less than $20 on Amazon, and has been rated a series of 5 stars and listed as a best seller. The lenses stand out not just because of affordability, but the high-class glass and the versatility give its extra popular appeal. The affordability and versatility make this camera kit a popular appeal. This lens set comes with a super-wide lens (0.4x magnification), a 180° fisheye lens and a 10x macro lens. Gorgeous, crisp and high-quality close-ups would not be a problem with this lens set. It’s also good that the fisheye and macro lenses are screwed together, so you won’t be having problems with missing them. You can’t get wrong with the Amir lens kit if you’re looking for an affordable and multi-purpose lens. Next time before you travel somewhere, put this iPhone camera lens kit into your backpack. You can use different lenses for food, landscapes, portraits, architecture. Fisheye, macro, and wide-angle lenses packed in one kit. These are some of the factors that you should consider when you’re looking for the best iPhone camera lens: the lens type, the purpose, and the price. You should already know by now the differences between the types. You can’t really use a wide-angle lens for a purpose that only a fisheye lens can do. Same with other types. Factors to consider when you’re looking for the best iPhone camera lens: lens type, purpose, and price. Before buying an iPhone lens, you should know the purpose of your purchase. Are you investing in a lens for mobile photography, or just buying the lens for a stylish and fun way to take a selfie? Deciding where you’re going to use the lens will save you a few extra dollars because the lesser the number of features of the lens, the more affordable it is. To understand better the issue of price, you should remember that by purchasing a cheaper lens, your final images will be less sharp in quality and less rich in details. That’s the price and drawback you picked for the cheaper lens. That doesn’t mean that lowered prices are all low-quality lenses. Most affordable lenses are just priced low because they can’t offer the more advanced features that others have. The more reliable and advanced the technology used for the lens, the higher is its price, as you can see from the lenses made by Moment and Olloclip. If you’re looking for higher quality images, you may want to invest in a superior lens, particularly the ones we listed above. Of course, this goes without saying that before you pick the lens for you, make sure you know the iPhone model you’re using it first. Some lenses don’t work for a certain model, while others are compatible across all models. Regardless of what type of iPhone camera lens you choose, make sure that you have considered all the factors I stated here before shelling out that hard-earned money you saved. If you want to avoid the decision fatigue that comes with having so many options in front of you, then consider the list I wrote here as your only guide to picking which iPhone lens to buy. Period. Don’t read anywhere else. Trust me. You will only get the same results and decision even after sprawling the internet for the best product descriptions of the iPhone lens that you need. The best iPhone camera lenses today are the ones you can already buy right now without wasting too much time reading for more guides. I hope what I just presented to you here is useful for you.